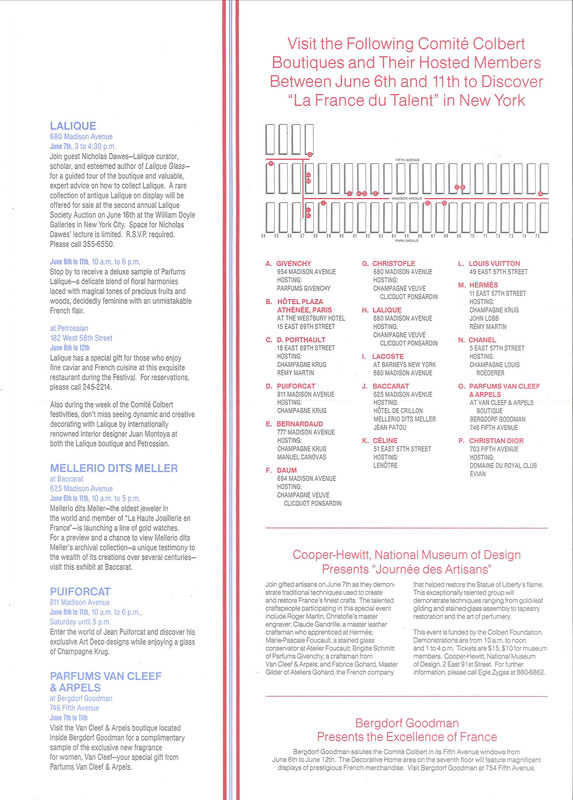 The is Page 3 of the brochure for the annual Comité Colbert event celebrating French luxury brands. Sent to Vogue subscribers who had RSVP’d for the event. I researched and wrote all the copy while working directly with each company represented in the brochure.